New numbers from the enrollment office for the spring semester list aerospace engineering as the fifth most popular major at Iowa State University. AerE enrolls 761 undergraduate students which makes up almost 10% of all engineering students. Aerospace engineering, which is the College of Engineering’s second most common major, includes 158 freshman students. Mechanical engineering is the university’s most popular major, followed by kinesiology and health, and animal science. 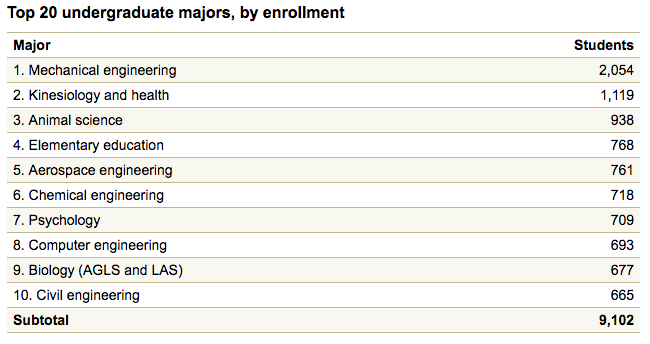 The top-10 majors are comprised of roughly one-third of this spring’s undergraduate students.